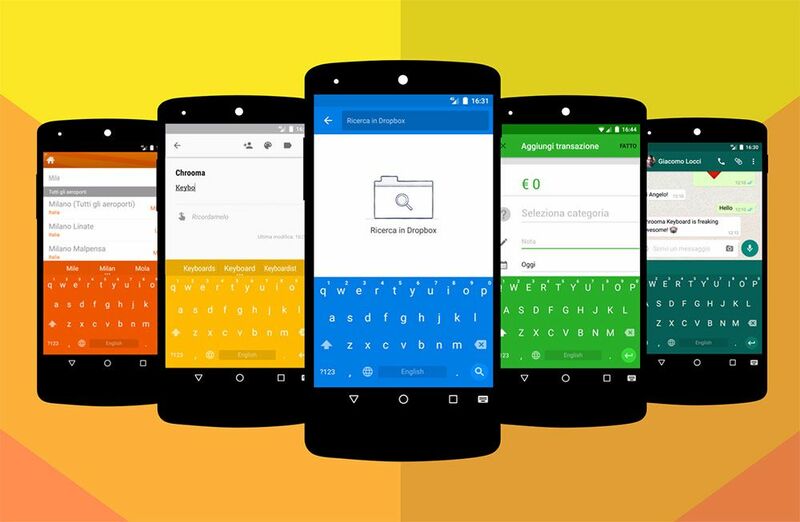 Chrooma Keyboard was updated to version 3.0 this morning, bringing many new features to the keyboard app. Inside of version 3.0, the Chrooma team has implemented what appears to be all of the major changes that arrived for Google Keyboard 5.0. These changes include dragging on the space bar to move the cursor, as well as swiping on the space bar to enable a one-hand operation mode. Chrooma also made Google Keyboard's function more polished by adding their own ingredients, such as an improved Action Row, Google Now integration for built-in search, and two new keyboard styles with key boarders. Instead of seeing cards from Google Now or something similar to Gboard (available only for iOS), Chrooma performs a Google Search with Google Now, bringing up results inside of Google. For example, if you type “Cavs” into a message, then swipe up on the space bar, you will be brought to the standard search results for that inquiry. It’s nothing too fancy, but still a helpful feature for quick searches. Chrooma also says that there are new settings to play with, custom gesture trail colors to create, plus improvements for gestures and predictions.